The Dolphins Pearl Deluxe Slot established itself as a classic slot machine along with Sizzling Hot Slots. Being released in the relatively same time frame as Book of Ra and Lucky Lady's Charm but enjoying somewhat less popularity. Dolphin's Pearl tries to take the player in an underwater world of riches with dolphins, seashells, oysters and colorful fish. The release date of Dolphins Pearl was 6 May 2008, according to GreenTube, as one of the first underwater themed slots. Greeted initially with major success spawned many other sea life themed games. Here are just a few as an example, Aqua Slots, Atlantis Treasure, Cash Reef, Coral Reef, Aquarium, 20 000 Leagues, 1429 Uncharted Seas, Deep Blue, Deep Sea and others. The best quality of underwater or sea-life slots is their relaxing effect on the player. A survey made in 2010 concluded that using elements occurring naturally have a relaxing effect on slot players and are generally more desirable. Maritime adventures are always appealing, the promise of riches, treasures, rare pearls and the discovery of the rarest amphibious creatures trigger a natural instinct for discovery. Novomatic Interactive clearly treated Dolphins Pearl Deluxe as a major slot machine in terms of design. Having 5 reels 3 rows and 9 Paylines or bet ways with a predominantly blue background including aquatic life. The symbols used, fall into two categories. Lower paying symbols are the usual 9, 10, J, Q, K, A. Higher and also way more interesting symbols are sea animals. The Dolphin, Seahorse, Coral Fish, Crab, Jellyfish and Cuttlefish. The betting phase consists of the player choosing the number of Bet lines, then the number of bets per line. After setting bet values the spin phase can be started. During the spin phase winnings are calculated and there is a chance for the main feature to appear. The special feature in the Dolphins Pearl Slot is called the 15 Free Games. This feature, like in most cases, is triggered by the Scatter Symbol which is an oyster with a shining white pearl in it. Getting three oyster symbols activated the 15 Free Games which in fact are Free Spins. The other notable feature is the Gamble or Risk Game. This occurs after every win the player makes. In Dolphins Pearl online game wins happen much more often due to the 2-symbol winning combinations. A 2 win symbol triggers the Gamble process which is done with cards. The player is shown a face-down card and has to guess the color, black or red. After deciding to play for real money, the first question usually is how to get a bonus. A Dolphins Pearl Bonus looks like this: 100% up to 100 bonus on first deposit. This simply means a new deposit will be matched up to 100 by the site. This also means the player gets his money doubled up to 100. Sounds pretty neat huh? There is also another way, that hardly even falls into this category called wager free slots. It sounds less promising than hard cash matching your deposit but in the case of the Dolphins Pearl Slot, it can be more valuable in the long run. A wager is an amount that needs to be cleared by the player in the case of a bonus. A no wager bonus allows the players to use their money and withdraw as much as and often as they want. Our list of bonuses and promotions can be of great use, take a look below! Win with the dolphin Scatter Symbol. The Gamble Feature with cards. Nice win with five K's. As we previously stated there is no shortage of underwater slots. Riches of the Sea is almost identical to Dolphins Pearl. From the background to sounds, symbols used and reels and rows. Mermaid Millions is also a pretty slot machine that resembles some extent Dolphins Pearl Deluxe but uses toon animations and designs. In terms of system similarities, this includes reels, gamble features and free spins, the most similar are the other Novomatic games from the Deluxe set. Mainly Book of Ra and the Lucky Lady's Charm slot. All three of these slots include the main features, the differences being design and theme. In the Google Play store, many underwater slots can be found. Most new releases have even better visuals and run smoother than the original Dolphins Pearl. 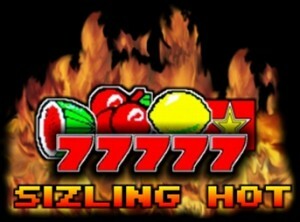 A slot game that already has a solid player base attracts new fans faster. The Dolphins Pearl Slots, the original and all other versions, are still the highest searched among the underwater slots. For a slot machine older than 10 years it says a lot. Most players are looking for fast gameplay, easy to remember symbols and good features that increase winnings. All these terms are met perfectly by the Dolphins Pearl Slot game. This slot is perfect for realxation after a hard days work. The underwater theme has a calming effect and can provide entertainment for hours.